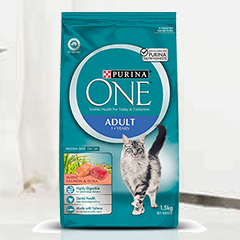 Participate in the Purina ONE 21-day program and claim a free 150g sample of adult cat food. This product claims to bring your cat higher energy levels, healthier digestion, and healthy skin, eyes and coat. Just click the "Start Now" button on the offer page, then complete the form to claim.